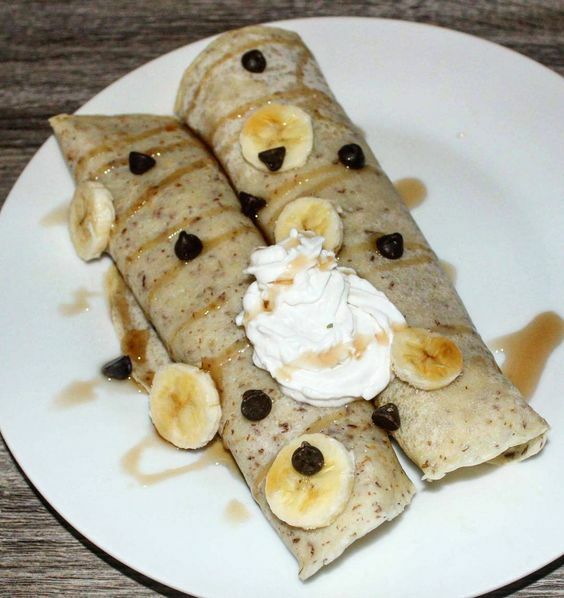 I started off my day with some crepes, loaded with vegan chocolate chips (I normally buy the big brand of Costco semi-sweet chocolate chips! ), coconut whipped cream, bananas, and maple syrup. My husband is obsessed with Beyond Meat's Spicy Vegan Buffalo Bites, so we always get some from the hot food counter whenever we're at Whole Foods. I paired the bites with jasmine rice, which really helps to take away some of the heat from the bites. We bought a rice cooker earlier this year, and it was honestly one of the best purchases we've ever made. It makes cooking rice such a breeze, and you never have to worry about over or under cooking your rice again! I just snacked on some fruit throughout the afternoon - some peaches, pineapple, and an apple. I had cooked way too much rice for lunch, so I had lots left over for supper. On the bed of jasmine rice I added some Kimchi-Style Sauerkraut, and I also had two Gusta Germaine Vegan Sausages, and corn. Gusta is a Quebec based brand, and their products have just recently started popping up all over Ottawa! These sausages have a wheat base, and the texture & flavour are fantastic! I ended off my day with a few spoonfuls (right from the pint!) of Oat & Mill's Black Forest Ice Cream. Oat & Mill is a local Ottawa based vegan company that makes ice cream from oats! I bought this pint at VegFest, but it doesn't look like this is one of their regular flavours.